In the above example I’ve used PublishingEditor but this can be changed as required. 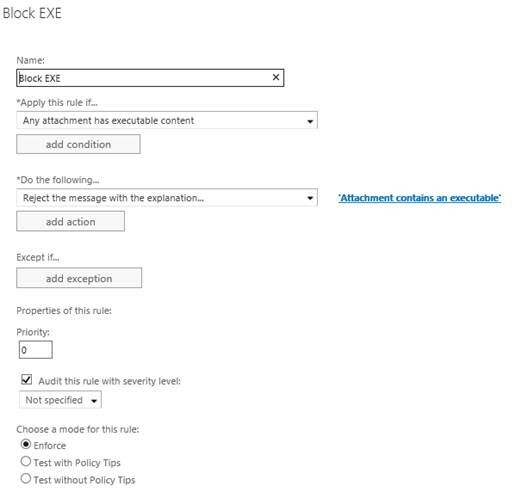 In Office365, you can setup a rule that blocks attachments with executable content… namely attachments that are EXE files OR things like zip files with EXE, bat, etc. content within. This is something Google Apps automatically does, but Exchange / Office365 does not and requires manual intervention. Save it and you’re golden!